Jan-Michael denies Sports Minister comments. Central FC goalkeeper Jan-Michael Williams has denied reports he criticised Minister of Sports Darryl Smith for not acknowledging his club for their achievements over the years. “My statements obviously were incorrectly interpreted,” Williams pointed out in an immediate response through T&TFA media officer Shaun Fuentes. The custodian, who is on a 27-man squad selected by national coach Dennis Lawrence to begin training tomorrow for the FIFA World Cup Qualifiers, was quoted as saying that Smith was disrespecting professional football in T&T. Williams’ disappointment was also echoed by team managing director Brent Sancho who claimed the minister has refused to acknowledge the pro league clubs by refusing to meet with them individually, yet has met with T&T Super League teams to give his support. However, despite Sancho’s comments in January, the Sport Company (Sportt) which is the implementation arm of the Ministry of Sports met with the Pro League teams and among the discussions were the monthly subventions of TT$50,000 per month grant to help off-set club expenses which includes salaries. Only recently the Central team won its third major title in the top flight domestic football league, after only four years of being involved. They defeated San Juan Jabloteh 1-0 to claim the $1 million cash prize and will be looking for another major title in the pro bowl which carries a winners-take-all cheque of TT$100,000. Sancho noted that Smith has been supportive of super league clubs although they have not yet been formally ratified by the TTFA. I thought that his performance in the USA match was quite commendable and I wondered if he might generate some interest in the MLS. Once he is being pushed to better his keeping, I am happy. I do think Jan could work on his fitness a bit, he's always had the potential to be a really world class keeper and I feel like despite being the clear best from our country in the last decade or so, I do think he has underperformed in the context of his true ability. I wish him God's speed. Jan is a good keeper and i don't know why some on here look for words of negativity to cast him down. Am sure he knows what he needs to do in order to excel. Jan-Michael Williams agrees move to Honduran side Juticalpa. Trinidad and Tobago goalkeeper Jan-Michael Williams will join Honduras first division club Juticalpa later this month after agreeing to a two-year deal. Williams, who spent most of his career at W Connection, had stints in Belgium and Hungary between 2007 and 2009 with White Star Woluwé and Ferencvárosi, respectively. The 32-year-old former Pro League player of the year said, via a media release by the Trinidad and Tobago Football Association (TTFA), that he was relieved to earn another contract abroad. “Finally (…) I have been trying for some time to go back outside and play at a higher level,” said the former St. Ann’s Rangers and Central FC shot-stopper. “The call came from Honduras and I’ve already signed the contract so it’s just about getting out there and starting pre-season with the club. The deal has been on the table for a while and they made the offer a couple weeks ago. Williams had a brief stint with Rangers in 2013 after parting ways with Connection, a team he had great success at. He later joined Central FC, the rival club of Connection, in the same year and went on to help the Couva Sharks to three consecutive Pro League titles. He was set to represent North East Stars this season after splitting ways with Central, but will instead don the ‘keeper strip of Juticalpa in the highest league of Honduran football. Williams’ immediate focus, however, is helping Trinidad and Tobago rebound from last Thursday’s 2-0 loss at the United States in FIFA 2018 World Cup qualifying. The Warriors, bottom of the CONCACAF Hex, are against hosts Costa Rica in San Jose on Tuesday. 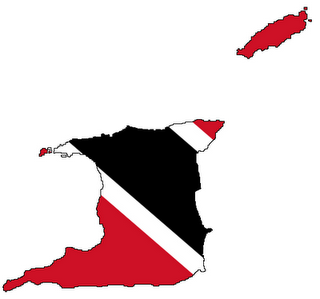 “…we need to buckle down and get some more points on the board,” said the T&T first choice ‘keeper. “…obviously we are very disappointed with the result against the U.S. but we’ve had a couple training sessions (after) the match and the focus is coming back. We have to push on from here. Williams also said that Warriors have the ability to adapt and learn quickly and grow under current coach Dennis Lawrence. Williams in good form after Honduran pre-season. National Senior Team goalkeeper Jan Michael Williams has described his first month in Honduras a learning curve as both he and defender Daneil Cyrus seek to establish themselves as regular starters for Juticalpa FC. The T&T duo arrived at the club around similar times in July, heading straight into the team’s pre-season activities. “Things have been really good so far for both myself and Cyrus. We started off a bit slowly but that was somewhat expected with the language barrier, the culture and the intensity of the league here,” Williams said. “The pre-season training was tough but necessary for us to be able to cope with the physicality of the league. From what we have seen so far from both our team and the big guns such as CD Marathon, Real Espana and Olimpia, we have a challenging yet potentially prosperous and successful season ahead,” Williams added. Both players are expected to feature in the T&T squad for the September 1st World Cup qualifier against Honduras at the Ato Boldon Stadium in Couva. It gives me no pleasure in bringing this to the forum, but dahis what we are here for. Transparency. Watch from 1:57. It's not conclusive from this footage but that looked to be a potentially close shout for offside. I have doubts that do not favour the forward, but that aside ... Jan got this twisted horribly. This is at least the second time he has done something like this since he has been at Juticalpa. Watching too much of Ederson. 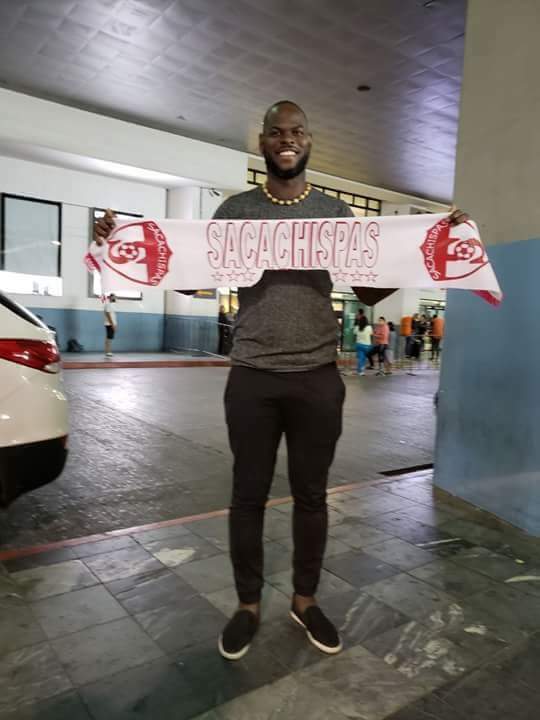 Goalkeeper Jan-Michael Williams has signed with Guatemala Second Division club, CSD Sacachispas. Nicknamed Los Muteros, the club is based in the city of Chiquimula and campaigns in Group B of the Primera División de Ascenso. Home games are played at Estadio Las Victorias. Guatemala 2ND division? Things that bad? We need a goalie at least playing in the USL/NASL. I guess it's time to search for another keeper. Ranjitsingh, but we doh seem very interested. Jan-Michael Williams nearly called it quits following the biggest disappointment of his career: Failing to qualify for last summer’s World Cup. Trinidad and Tobago fell short in CONCACAF’s final round of World Cup qualifying, the closest Williams, who has appeared in goal 81 times for the Soca Warriors, had gotten to his ultimate dream. Hart managed T&T for three years, leading them to that elusive “Hex” appearance. He and Williams had kept in touch ever since. “Stephen said to me, ‘Ah, you’re crazy’. He thought I had way more to give,” Williams explained. Williams eventually thought better of folding up his goalkeeping gloves. The 34-year-old was one of a quartet of T&T talent Hart signed earlier this month. Williams has spent the majority of his career in Trinidad, with short stints in Belgium, Hungary and Guatemala. Williams clearly thinks highly of Hart, calling him a “wonderful man-manager.” He says he has enjoyed some of the best football of his career under the CPL’s most experienced coach. “I don’t want to give away his secrets to other coaches in the CPL,” Williams chuckled. Williams faced Hart’s Canada in a 2-0 defeat in 2012 and remembers being impressed. “The way he set up his team and how he managed from his sidelines impressed me,” he added. Still, Williams understands he’s set to, uh, have his hands full as a goalkeeper in a new league and country. “From what I’ve seen so far, the league has attracted some very good players,” Williams said. “My concern are the players I’m not familiar with. I’ll have to sit down, do some video review and go from there. “The ones that don’t have too much history, there isn’t much I can do in the way of homework, things they do will be new to me.